RIO DE JANEIRO — Watch Milos Teodosic play for a few minutes and familiar names bounce around your basketball brain. When he whips a no-look pass as if telepathically connected to a teammate, his hair flopping on his forehead, it's "Pistol" Pete Maravich. When he breaks down a defender and dribbles baseline, exploring a defense for weak spots, it's Steve Nash. And when the game's critical moment arises, and Serbia needs a big play, he's part Kyrie Irving, Chris Paul and Russell Westbrook. Teodosic is the best player many hoop fans have never seen. On Sunday, with the world watching, everyone will get to know him. 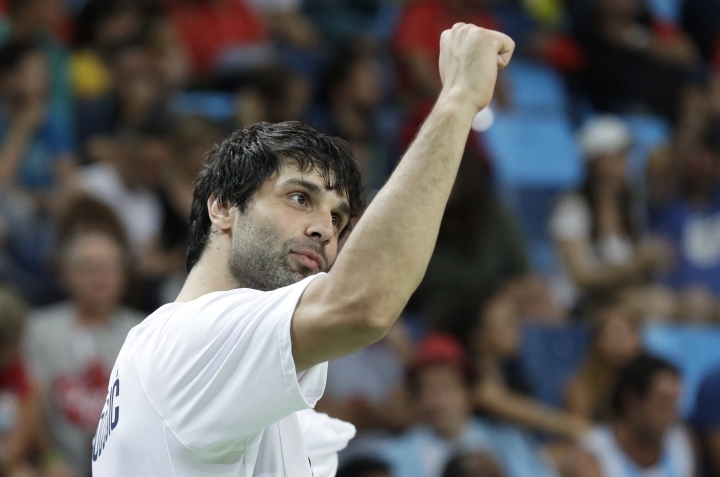 The 29-year-old Teodosic, a major star in Europe who has rejected previous offers to play in the U.S., has a chance to make history as Serbia faces an American team seeking its third consecutive gold medal. The U.S. team narrowly kept its Olympic winning streak intact and escaped with a 94-91 win over Serbia in the preliminary round, when guard Bogdan Bogdanovic missed a game-tying 3-pointer at the horn. 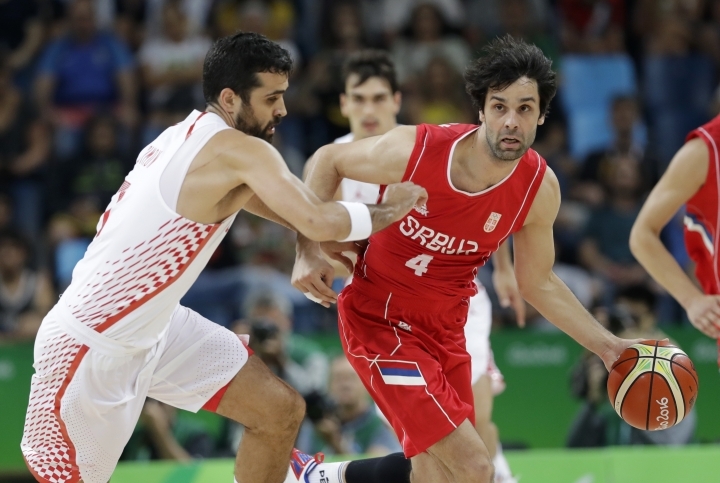 The Serbs, though, got the Americans' attention — and none of them more than Teodosic. "As good of a player, and as good of a guard, as there is in Europe," U.S. coach Mike Krzyzewski said. "I love him. We're friends." Teodosic more than held his own against U.S. guards Irving and Kyle Lowry, scoring 18 points (four 3-pointers) with six assists. But maybe more impressive was how he kept Serbia's offense engaged throughout an entire possession, wearing down the Americans who got caught watching the ball as the shot clock ticked down and were beaten on late back-door cuts for easy baskets. With the ball in his hands, Teodosic orchestrates this Serbian symphony. "In our game, there's movement, but these guys, there's constant movement," U.S. forward Paul George said. "You don't ever sit still. In our game, there's moments when you're sitting still. You can have a rest period where there's action on the other side. You're constantly moving side to side, and it's like they don't get tired. That's very new to us." The American men had been given a scouting report on the 6-foot-4 Teodosic, who plays professionally for CSKA Moscow, from U.S. women's star Diana Taurasi. In addition to playing in the WNBA, the four-time Olympian has played in Europe. She's grown to appreciate Teodosic's game. "I've been watching him play for 10 years," she said. "He's one of my favorite players and I feel like no one has ever heard of him and he's an unbelievable basketball player." 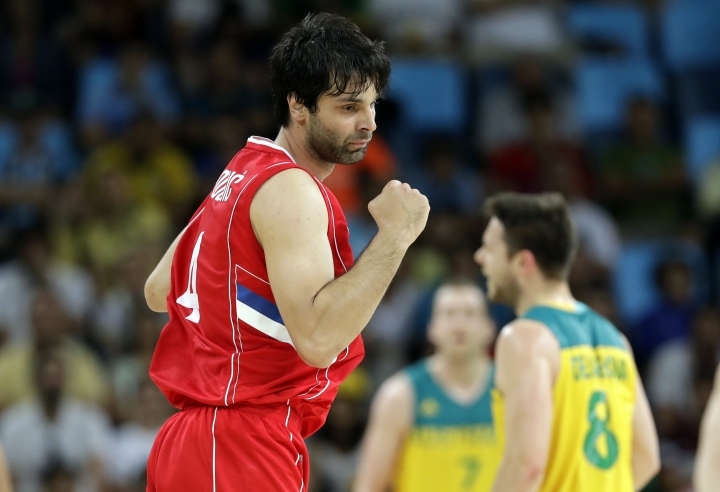 Teodosic was masterful in Serbia's 87-61 blowout of Australia in the semifinals. He finished with 22 points and five assists in just 22 minutes. He also helped corral guards Patty Mills and Matthew Dellavedova as the experienced Serbs, who play together at both ends of the floor, held the Aussies to just five points in the first quarter, 14 in the first half. 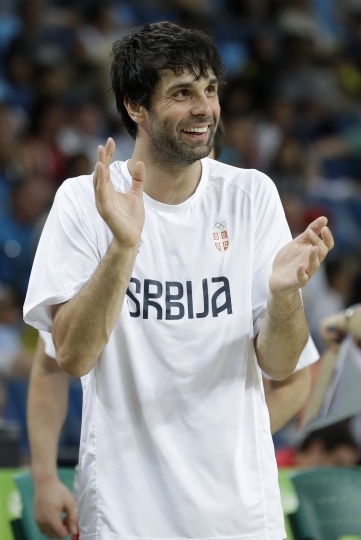 Afterward, Teodosic was asked if the Serbs, who were overpowered in a 37-point loss to the U.S. at the 2014 FIBA World Championships, can dethrone the two-time Olympic champs. "If I asked you, 'Can you imagine that Australia is going to score 14 points in one half?' Probably you are going to say no," Teodosic quipped. Team USA is "for sure the best team in the tournament. A great team, with big names and I can just say that we are going to go on the court and try to play our game and we will see if it's going to be enough for a win." Win or lose, when the Rio Games end, Teodosic will no longer be a secret to U.S. fans, and it's a given NBA teams will be tracking him closely over the next year. He's under contract for one more season in the EuroLeague, but can test free agency next summer. Last week, he said, "that's not up to me" when asked about his ambition to play with the world's best talent. For now, Teodosic will take center stage with a shot at shocking the Americans, who have won 75 consecutive games since 2006. He has Serbia one win from fulfilling a vision painted in gold. "That's the dream of all of us a long time ago," he said. "None of us imagined this was going to happen. We believed in ourselves, but the final of the Olympics is something huge for each player." And Serbia may have just the player to make the impossible happen.